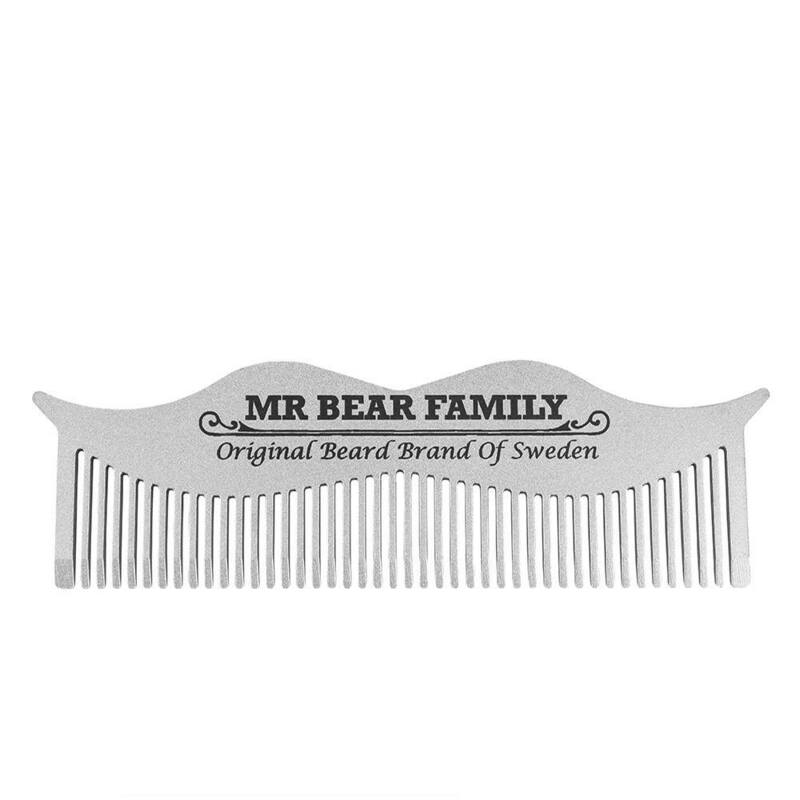 Steel beard and moustache comb. 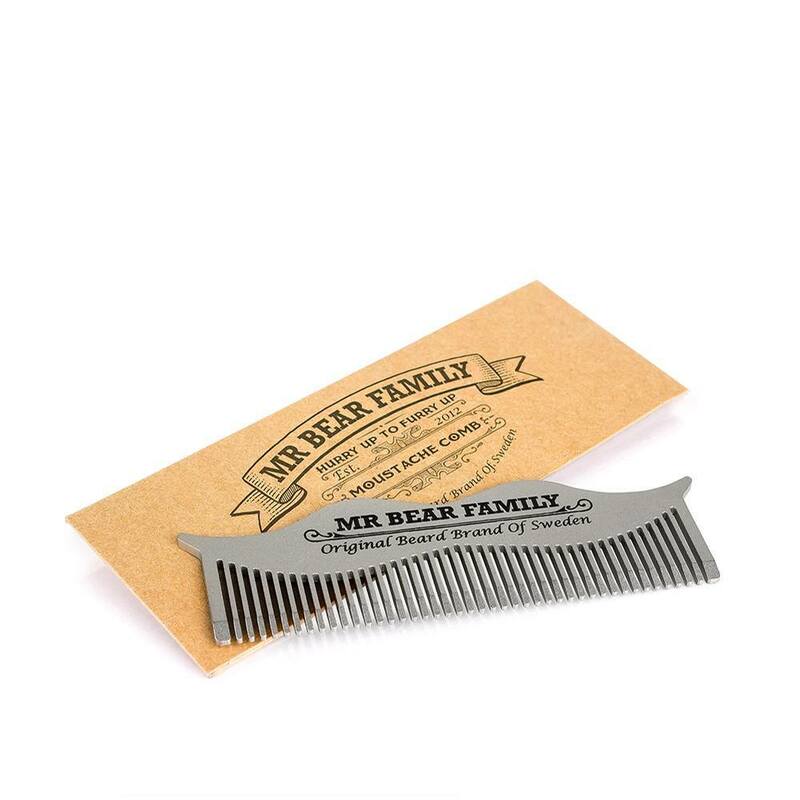 Mr Bear Family steel beard & moustache comb. The Mr Bear Steel Comb is made out of 2 mm stainless steel with a matt finish and a laser engraved logo. Perfect pocket size.